Runner's Knee is a condition where the cartilage under the knee cap deteriorates and softens due to repeated strain or injury. Your bones aren’t lined up. If any of the bones from your hips to your ankles are out of their correct position, including the kneecap, that can put too much pressure on certain spots. 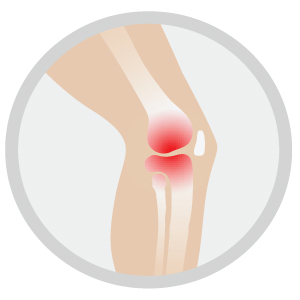 Then your kneecap won’t move smoothly through its groove, which can cause pain. Fallen arches (flat feet), or overpronation (which means your foot rolls down and inward when you step). These often change the way you walk, which can lead to knee pain. Wearing orthotics helps prevent faulty biomechanics. By wearing correct orthotics, the strain on the knees will be greatly reduced, giving the knees a chance to heal. Plus, the orthotic will prevent the situation to worsen, thereby reducing the risk of further damage. Archline orthotics are designed to promote healthy biomechanics and balanced movement.